Good morning gamers, I hope everyone is having a lovely Sunday, and what better way to enjoy a Sunday than playing a great retro inspired game! Thus we have Willy The Wasp 48k for you to try, a fun arcade game developed by daveysludge, in which you, as the Wasp, need to collect all the phials to build up your venom to track down the commissioner and sting him. You also have eat fruit to gather your energy to see through the dark rooms. 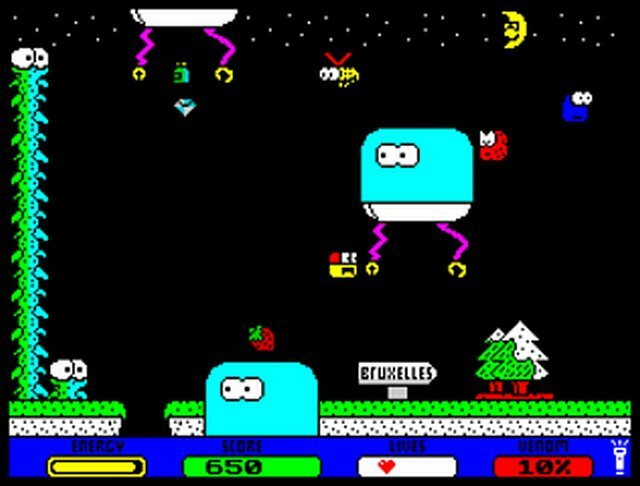 Willy The Wasp features great retro inspired graphics that fit really well on the ZX Spectrum and it's great fun too, however some have commented that it's a bit too hard, but as with games every opinion differs. 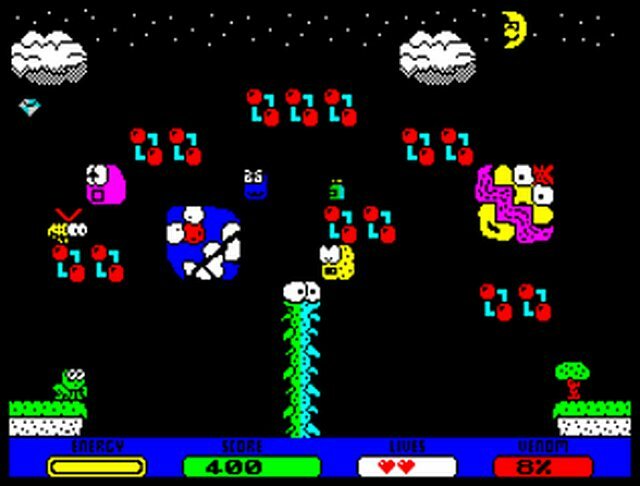 Willy is free to play and you can play it now on a real ZX Spectrum or an emulator.